Diametro 6 cm. 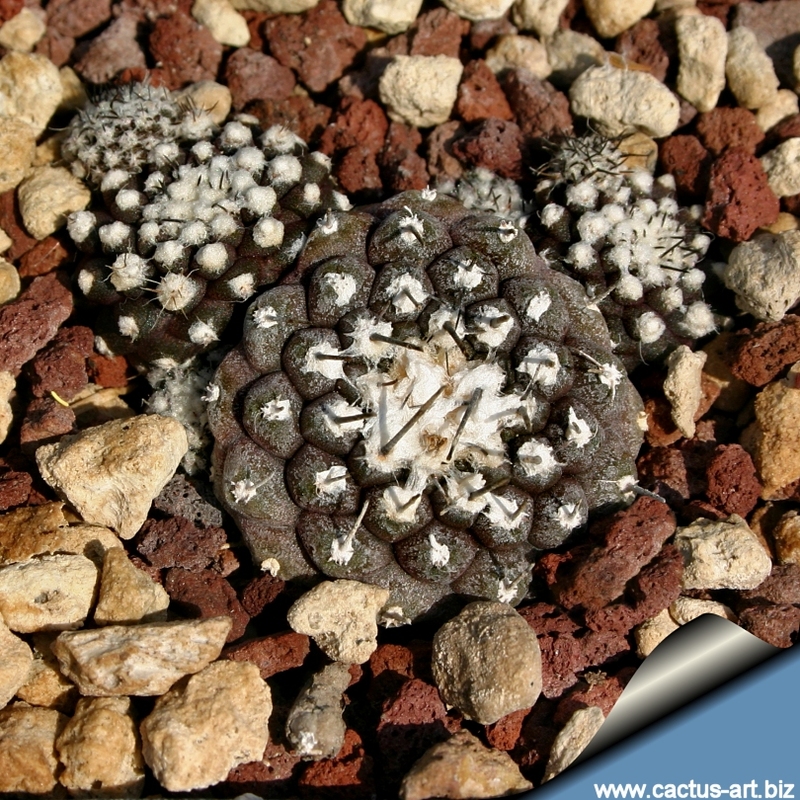 Forma minuscoli corpi rosso porpora scurissimo ricoperti da contrastanti areole lanose bianche. 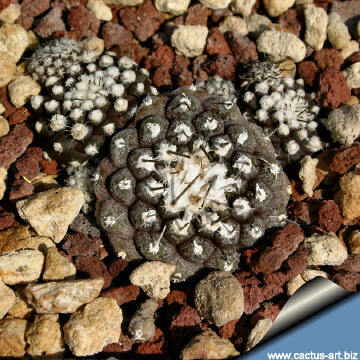 Sembra una Mammilaria luethyi e produce graziosi gruppi con il tempo. 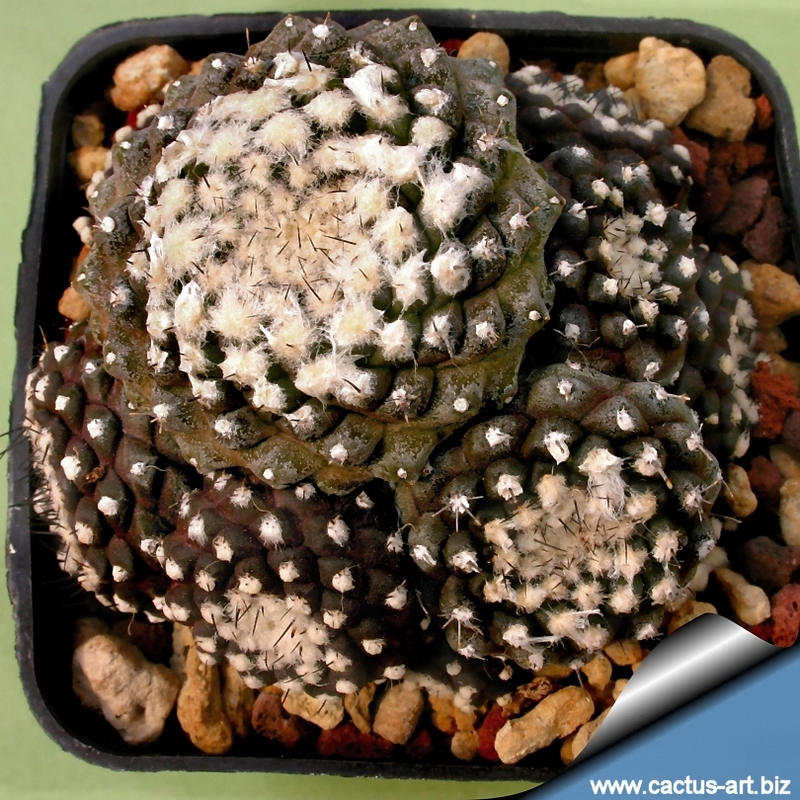 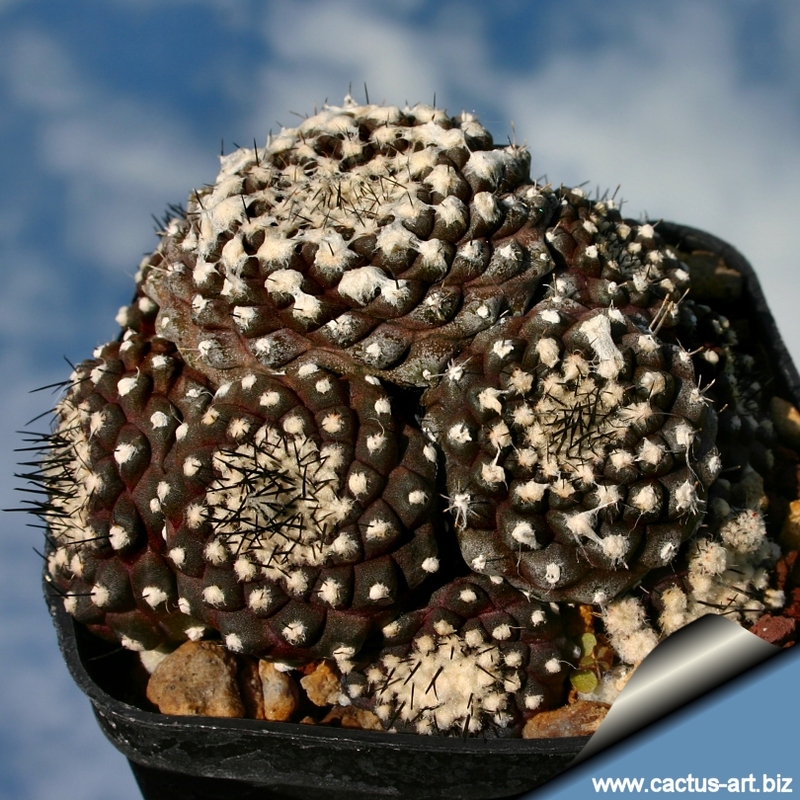 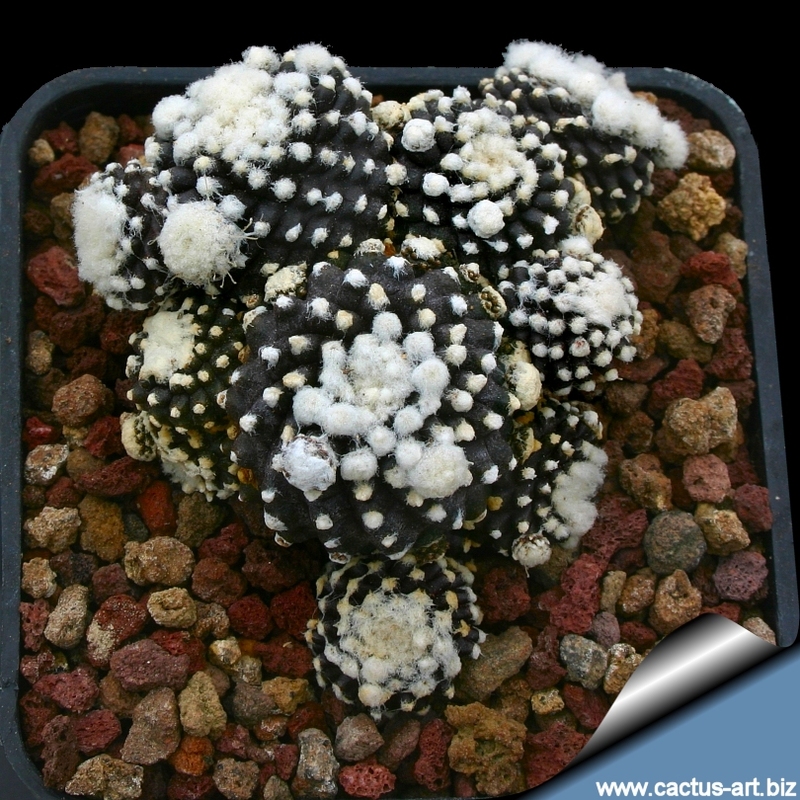 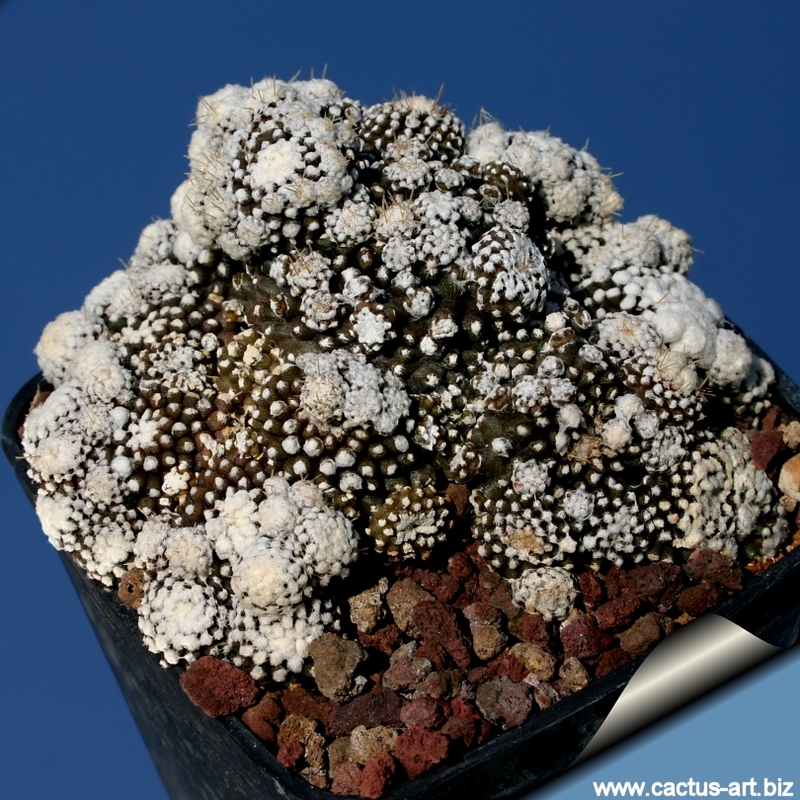 This is an odd cactus with a very dark purplish body that become almost black in full sun, it is covered in tiny contrasting white woolly areole and produces a nice patch over time. Description: There are some different clones of this heavy clumping cultivar, some of which very small and densely branched and some (the more common forms) with larger stems and fewer basal shoots. 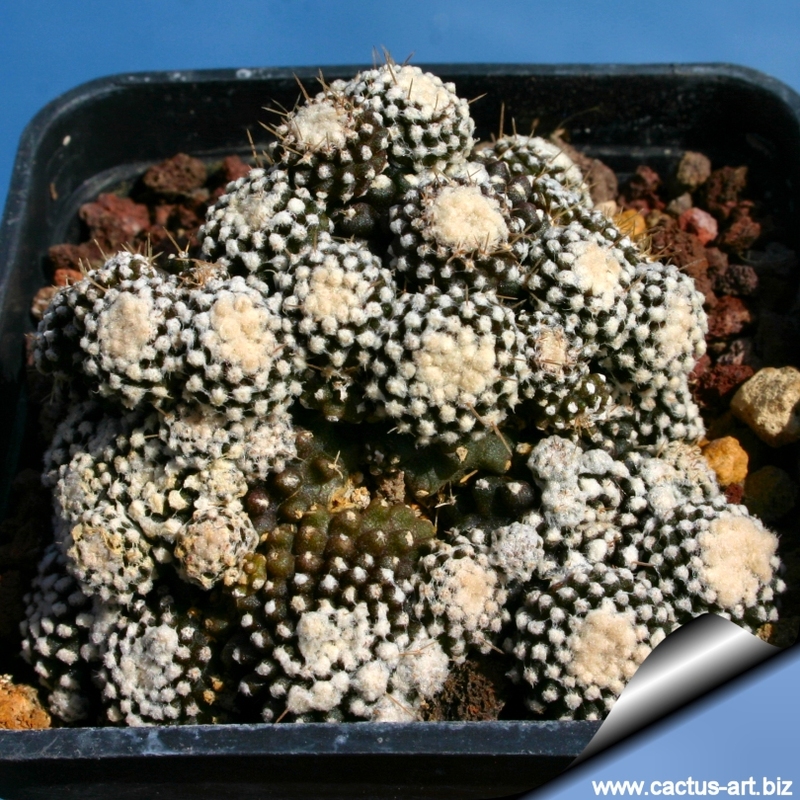 The cluster of heads never get much larger but can slowly fill a 10 cm bowl. 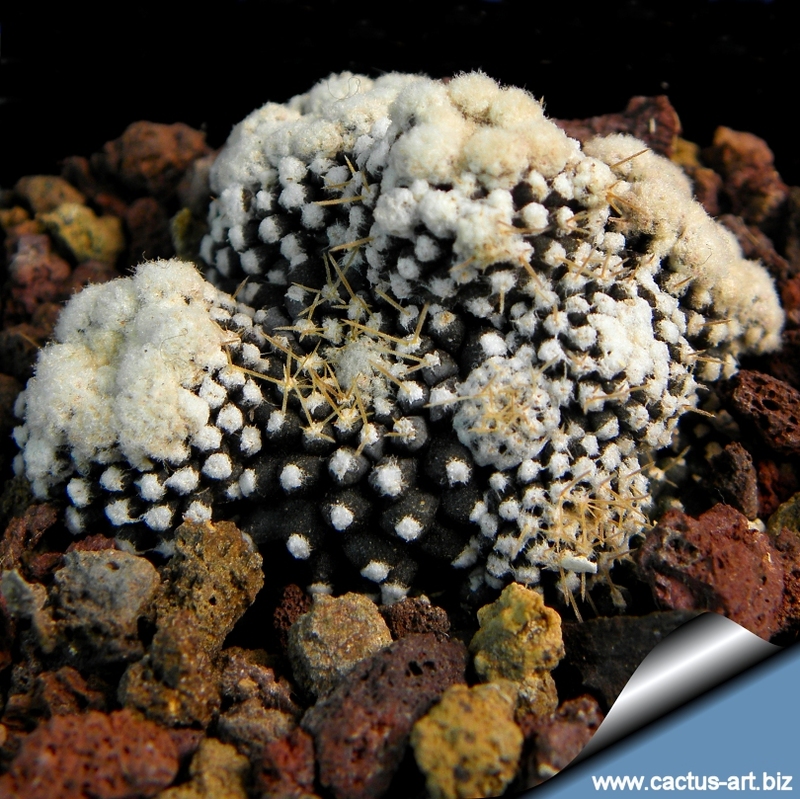 Stems: Basally branching from 1 to 5 cm in diameter (depending on clone) that turns almost black in direct sunlight. 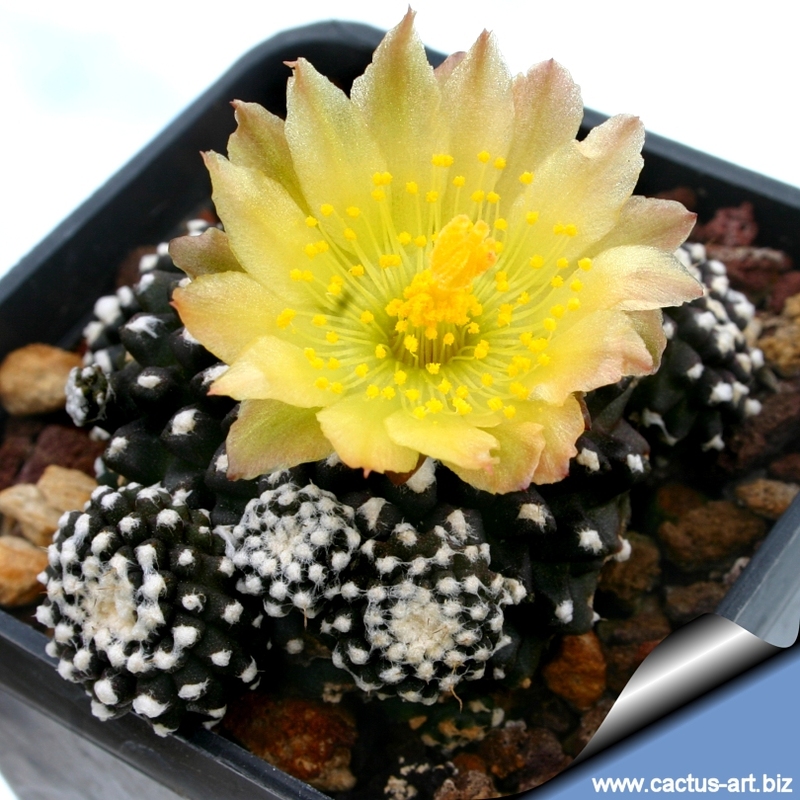 Flowers: Pretty, yellow up to 2.5 cm long and supposedly are sweet scented. 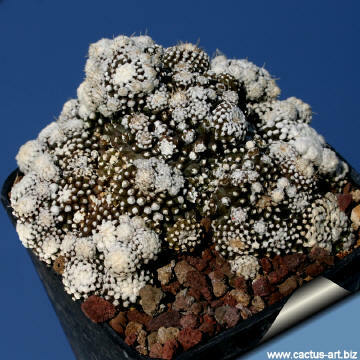 This is a very tiny form with lots of small heads that looks like Mammillaria luethyi. Cultivation: Copiapoa tenuissima mostruosa is not a fast spreader like others but forms nice plants pretty quickly, water it moderately in summer and keep fairly dry in winter. 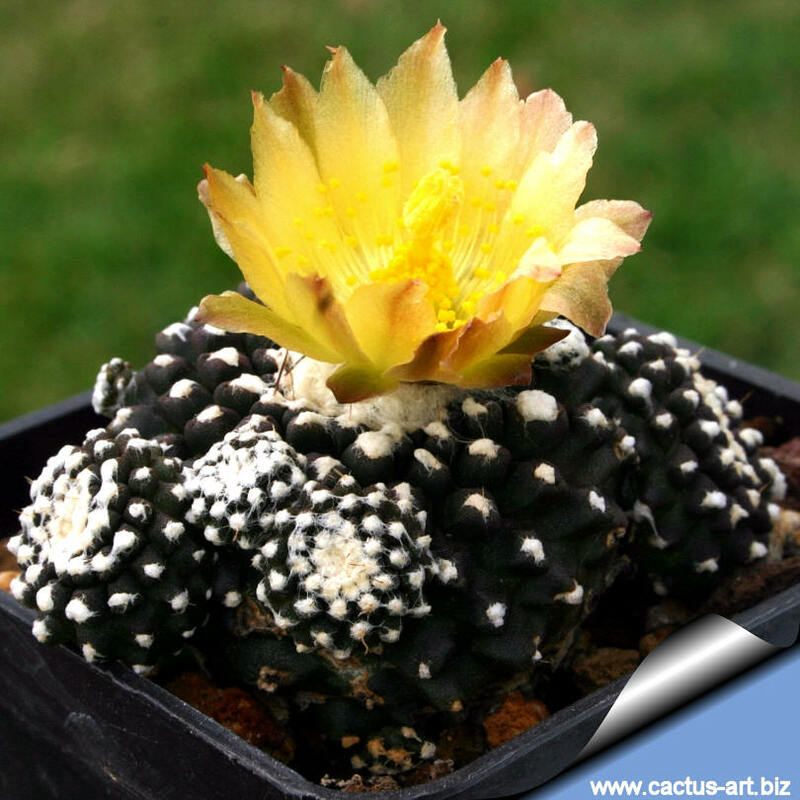 Prefers a light shade or a full sun exposure, should be protected from excessive heat and sun in summer. Propagation: Usually grafted but the offsets can be used as cuttings, they root without a problem. They grow slowly at first until they develop the large tuberous root system.